Less than a year after acquiring a 76% stake in the Coscuez emerald mine in Colombia, Fura Gems (TSXV: FURA; US-OTC: FUGMF) has completed a maiden resource estimate that puts the potential mine life of the project at 30 years. The study was based on a price of US$200 per carat. Fura’s current mine plan is targeting 105,000 tonnes per year by underground mining methods. The bulk sample produced 15,864 carats (plus emeralds contained in rocks) from 2,242 tonnes processed through October. 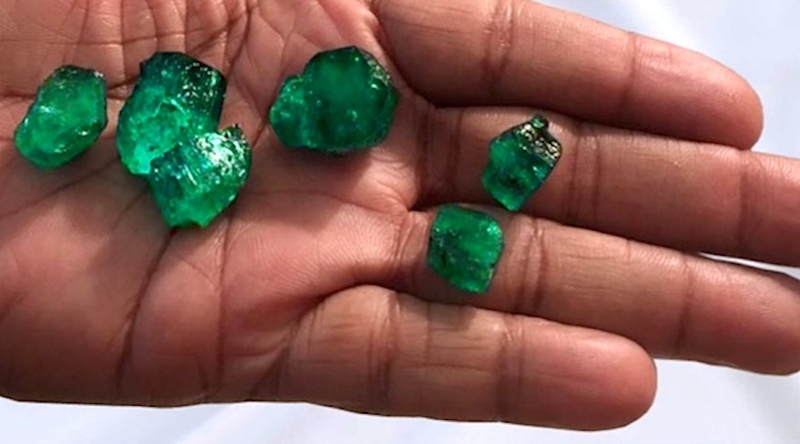 The Coscuez mine has produced some of the best emeralds from Colombia’s Muzo region for more than 300 years, according to a technical report in November 2017, which also estimated that Colombian emeralds account for nearly 70%-90% of the world’s emerald market. Coscuez is in the San Pablo de Borbur municipality of the Boyacá district. Boyacá is in the Andean Region in central Colombia, over the Eastern Cordillera mountain range, and covers a total area of 23,189 sq. km. The license has been granted for an initial period of 30 years, expiring in December 2020. Extensions can be negotiated with the government for up to 30 additional years, according to the technical report. The company will have to deal with the hundreds of artisanal miners in the region who have hunted for emeralds in Coscuez’s existing network of tunnels for decades. Fura acquired its stake in the project by acquiring 76% of the shares of Esmecaol S.A., which owns the 43-hectare licence. Fura Gems was founded by former executives of Gemfields Group, the world’s largest emerald and ruby producer. Prior to joining Fura as president and CEO in January 2017, Dev Shetty was Gemfields’ chief operating officer and a member of the company’s board of directors. Fura is headquartered in Dubai. The company’s shares have traded within a 52-week range of $0.30 and $1.13 and at presstime were $0.35 apiece. The junior has 134.4 million shares outstanding for a market cap of $46.4 million.